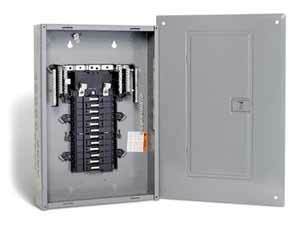 When your home was originally built, the electrical service fuse box or circuit breaker panel was probably adequate. However... as electrical code requirements change and electrical demands for your home increase, often an upgrade of the electrical service panel is necessary. Blumhardt Electric specializes in electric fuse box and circuit breaker panel replacements, as well as entire electrical service replacements such as upgrading from a 100 amp electrical service to a 200 Amp electrical service. Blumhardt Electric will provide a 100% free written price quote for any panel replacement or service upgrade project. Schedule a Customer Visit.